Imagiro is seriously growing on me. After 2 collaboration features, it's time for the British producer to fully take over the spotlight. 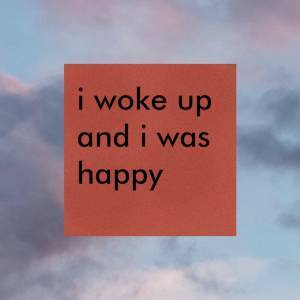 His latest release with the beautiful title "i woke up and i was happy" should be nothing but inspiration to all of us. While days have been rather rough lately, playing this made me feel light for a bit and that's always the kind of experience I look for when looking for new music. If you are ready for "an upbeat, positive vibe combining chillhop / electronic synths and smooth vocal harmonies", hit that play button.